Yet we are often bad at communication, and what we may perceive as a meaningful dialogue is too often parallel monologues where two persons are talking, and no one is listening. An old saying goes that you have two ears to listen with, but only one mouth to talk with, so ideally, we should listen twice as much as we are talking. Indeed, we do normally spend 55% of the time listening1, but we just retain 25% of what we hear2, and most often, our quality of listening is not very good. Listening is necessary, but it is often the missing half of effective communication, and is overall an art and grossly neglected skill. Most conversations, including the ones in which we really want to make a point and get our views across, tend to be very ineffective. In a discussion, we have a natural tendency to focus on ourselves. We think of our own arguments and how we are going to persuade the our interlocutor, we take in the words of the other person through our own filters and biases, we focus on what we want to hear rather than what the other person is actually saying, we want to make the right impression, and thus we miss out on the unspoken parts of the conversation. If you really want to understand another person, you will need to tune out of yourself and your present emotions, and go into a mode of active listening with a total focus on the other person. Any fruitful discussion or negotiation starts with understanding the other, and effective listening therefore requires stepping into the other person’s frame of reference for a while. This could be done through active questioning. In the very beginning, it is often better just to be silent, but if anything is unclear, you should not hesitate to ask questions. This promotes insight, and shows that you are genuinely listening. To be effective, active listening needs to be non-judgemental. You do not need to agree, but you will need to create a safe space by listening with your absolute presence in an open and compassionate way. Having the full attention of another caring person could be extremely empowering, and it creates an environment of openness where the conversation could move from the surface to the depths, where the really interesting things take place, and the true drivers, motivations, and deepest needs of the other person could be revealed. If you start with actively listening to the other person in a non-judgemental way, you also increase the likelihood that the other person will do the same for you. This mutual listening, despite different views, can then form the basis for mutual understanding and trust, opening possibilities for reaching agreements that are beneficial for both. In a negotiation, active listening is therefore the cheapest concession you can make. Active listening could be a profoundly empowering experience for both for the speaker and the listener. However, active listening does not come easily to us, since our brains are often full of distractions and we naturally lack a totally non-judgemental, open, and unbiased state of mind. When our minds start to drift, or we start to judge, it is revealed by our unconscious body language. This could easily break a moment of trust and true connection. When you listen actively, you should not only listen to the words being spoken, which is merely being an intellectual listener. You should try to take in all the signals the other person is sending, their words, gestures, facial expressions, body language, tone of voice, and intonations. As with good music, the important parts are in the pauses between the notes. You should also pay special attention to what is not said. This way, you will capture a totality that goes well beyond the mere spoken words, making you a holistic listener. When it is your turn to talk, acknowledge what you have heard so that the other person becomes assured that you have understood. Try to capture the essence of what has been said without focusing only on specific parts of what has been communicated, and ask clarification questions if necessary. 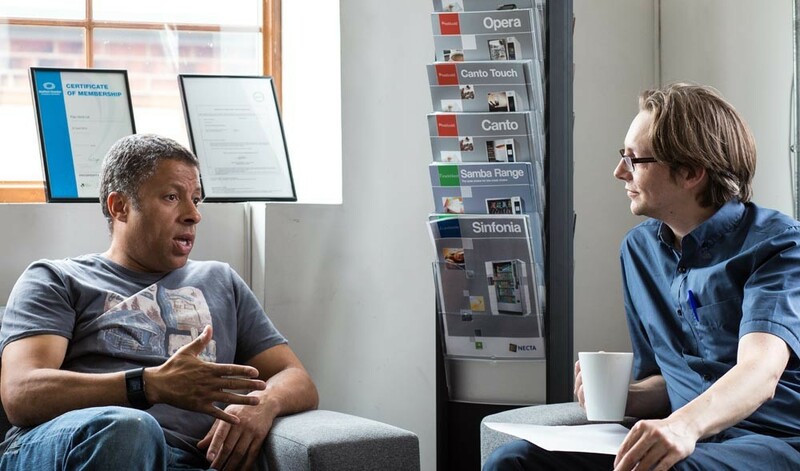 Ideally, active listening has laid the ground for a trustful and cooperative conversation that could smoothly and openly flow back and forth with neither person becoming defensive. Although you may challenge assumptions and disagree, it is important that the other person at all times feels that you are trying to be helpful, rather than to win an argument. If you seize all opportunities to practice your active listening, you will soon find that you not only learn a great deal, but also that you will also become more energetic and influential, increasing your network of trusted colleagues, associates, and friends. You will also have an influence on the persons whom you actively listen to, so they will also become better listeners. As active listening requires full presence in the moment, you will find that the regular practice of meditation and mindfulness will be very helpful. The non-judgemental aspect of meditation practice will also help you to listen with compassion, instead of with preconceptions and biases. Personally, I have found my own spiritual practice to support my active listening skills. Promoting active listening is very important, as this is the foundation for a society built on understanding and compassion, where conflicts can be handled in a mature and constructive way, without resorting to conflict and war. As a proud member of the Global Listening Board, (http://www.globallisteningcentre.org/global-listening-board/ ) I try to make my small contribution to this important endeavour. This article will also be published on my private blog creativityboost.net, where I reflect on issues related to creativity, leadership, personal growth, and spirituality. Barker L, Edwards R, Gaines C, Gladney K, Holley F (1980). An investigation of proportional time spent in various communication activities by college students. Journal of Applied Communication Research. 8:101-9. Nichols RG, Brown WC (1954). Listening and speaking: A guide to effective oral communication. Dubuque, IA: W.C. Brown.